If we did an inventory of your closet right now, I am sure we would find a black handbag, a brown handbag, and another black handbag. But would we find an orange handbag? Maybe? Or probably not? Well, here is your chance to fill the void. Spring is coming, so please don't buy another neutral handbag. Buy a colorful one! 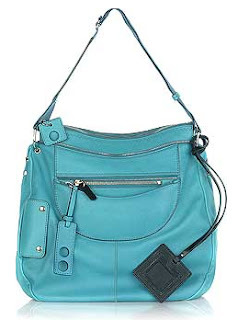 And if you're not the "orange" kind of girl, how about a pretty light blue handbag? I guarantee you that it won't go unnoticed. 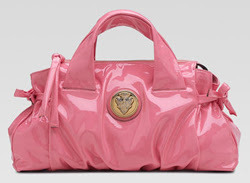 I understand that some people are intimidated by strong colors for accessories, but as long as you keep the rest of your outfit color co-ordinated you will be ok.
Color co-ordinated doesn't mean that if you wear a pink handbag you have to wear pink shoes. You can, but you don't have to. It doesn't mean that you need to wear another pink piece of clothing. I do prefer, if possible, to match at least one more item to a colorful handbag. 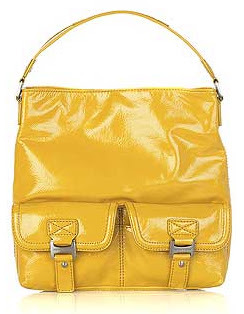 This yellow handbag, for example, I would wear it with white cotton capri pants, a white t-shirt with a delicate yellow pattern, yellow flats, and maybe a chunky yellow cuff on my wrist. I understand that a hip youngster would wear it with green pants and a red scarf, but that's the beauty of being young, rebellious and color blind. I also own an every day green handbag that I love dearly. Unfortunately I don't own an extensive green wardrobe, so I have been guilty of mismatching this bag. But it is so comfortable, and so spacious, that every time I take it out of the closet, it's always so hard to put it back (hey, I never said I was perfect...)! This will get me through the winter! I love that blue Chloe bag. Why oh why are they sooo expensive. Maybe I'll make the trip to Chinatown. I have only recently started trying out colorful handbags. Every purse (last woman in America to still use that term?) I owned used to be black or brown, just like all of my shoes. I finally tired of this and started buying color. 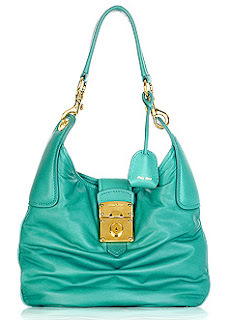 I love that turquoise purse nyspender! I love the color and would match a turqoise necklace or braclet with it. The vibrant colors are so cheerful and uplifting. It's not merely a fashion statement but reflects a happier state of being. Keep up the good work on your blog girlfriend! Upon reviewing the post, I am now in love with not just the turquoise handbag, but the orange, the yellow, and the pink. The description of the outfit that would match well with the yellow handbag is so cute I must wear it. This means I will need to look for a matching bracelet. I will then shop for coordinating outfits for the other handbags as well. Perhaps I will take a page from Paris Hilton's book and dress my dogs in matching outfits. I'll slip a pair of designer sun glasses over the eyes of the one who is vision impaired. Please, somebody destroy my credit card before I get hold of it. 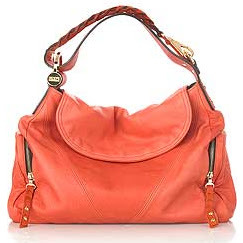 Anonymous, I am sure there are plenty of affordable colorful handbags out there. Don't take shortcuts (chinatown), instead savor the quest, that way when you'll find the right bag, you will cherish it even more. If you do get one of these outfits together, please send a picture! I don't own a black, brown, or white handbag. I love the pop of color. I am especially drawn to the orange handbag. Thanks for brightening up my day! I'm positive there are plenty of cute, affordable bags out there, but something just feels so good about getting a replica of a bag selling for over $1000. I do understand the objection to chinatown and knockoffs, but I'm not gonna lie ... sometimes it's a good feeling. OMG. I just love the first and the last one.